The films in the Knitting film series employ common systems of production to reflect issues of time and pattern, exploring analogies between artists film/animation and knitting. These films extend the notion that construction of the film/and or fabric can be reliant on programming, controls and human gestures outside of their respective conventions. 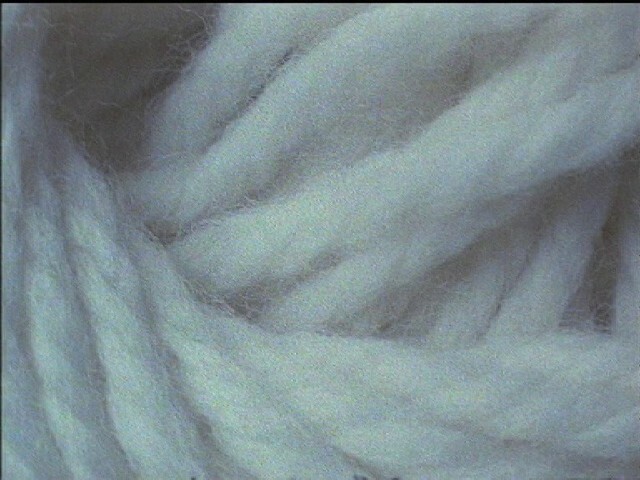 In Knitting patterns, single frame exposures of different coloured balls of wool have been made; the frames order within the film has been predetermined by a fair isle knitting pattern instruction (e.g. blue, blue, yellow, red, blue), this instructional graph we see at the beginning of the film.